The South China Morning Post has reported that publishing giant Tencent, which has games like PlayerUnknown’s Battlegrounds and Fortnite in its portfolio, is in talks with Electronic Arts to release Apex Legends in China. Both Tencent and EA have yet to respond to requests for comments but the report, which initially circulated on Sina Weibo, is hardly surprising. Respawn Entertainment’s free-to-play battle royale title reached 25 million players worldwide within a single week and has earned positive reviews from critics. On Twitch, it has already started breaking records set by Epic Games’ Fortnite. According to livestream tracking service Gamoloco, Apex Legends beat Fortnite‘s record to become the best launch ever on Twitch. It now boasts the fourth highest single-day views in five years. Gamoloco’s data shows that on February 12, 2019, Twitch viewers watched 8.4 million hours of Apex Legends. In contrast, Fortnite‘s most successful single-day viewing stood at 7.2 million hours, which it reached in July 2018 with the launch of Season 5. 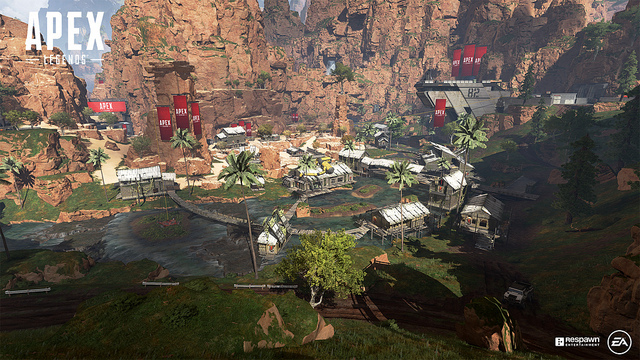 Apex Legends‘ success has pleased EA and investors alike. The publisher’s stock jumped by as much as 11 percent upon the surprise launch, and the game’s player base continues to expand. It’s certainly understandable why Tencent may be eyeing the title. Building upon the momentum, Respawn will be organizing regular livestreams of its own. The developer recently announced that alongside regularly keeping in touch with Apex Legends‘ community, the production team is “building a rad soundstage and set” at Respawn’s office to put on some shows for its fans. Will Apex Legends dethrone Fortnite? Share your thoughts with us below.